Looking for a luxury car without the price tag of buying new? Check out our selection of used Mercedes-Benz C-Class cars, all for less than $30,000! You can enjoy the style, power, and status of a genuine Mercedes-Benz vehicle, for a price much less than you’d expect. 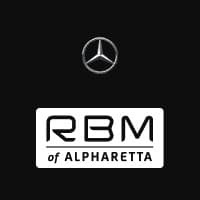 With a comprehensive inventory including Certified Pre-Owned, pre-owned, and CarFax 1Owner C-Class sedans, RBM of Alpharetta is your local source for the best used C-Class cars for under $30,000. Arrange your test drive today! Why should you choose a pre-owned or Certified Pre-Owned C-Class car, and what’s the difference between the two? For a vehicle to be earn certification by Mercedes-Benz, it must be a recent model year and pass a rigorous inspection. There are many benefits of purchasing a CPO vehicle, including an extended warranty with several vehicles to keep you and your car happy for miles to come. In fact, many CPO C-Class vehicles even outperform newer competitor vehicles, as is the case when you compare a CPO C-Class to a new Lincoln MKZ. Pre-owned vehicles are any vehicle that has had already had an owner. These vehicles fall outside of the Certified Pre-Owned parameters, but are still a good choice for Alpharetta drivers. Many of our vehicles have the CarFax 1Owner seal of approval — that is, their CarFax report can show the vehicle has not changed hands multiple times, but instead has had one loyal owner before heading your way. There are a variety of things to consider when purchasing a used car, and with a free CarFax report and the help from our knowledgeable staff, you’re sure to find an excellent used C-Class that falls under your $30,000 budget. So, browse our inventory at your leisure and contact us with any questions you may have!